We talk about Italy all the time. It’s obviously our favourite subject. And we’re guessing that you have some interest in Italy too. But how much do you really know about the country: its history, culture and lifestyle? Because we have to admit that we thought we knew quite a lot but Italy. But, that was until we digged further to find out more about the country we just love. We’re surprised that there is so much we didn’t know. And we think you’ll be surprised too. So we have uncovered 17 fun and interesting facts about Italy, and we reckon that quite a few may well surprise you. The city of Syracuse in Sicily was once the largest city of Ancient Greece, and even equalled Athens in size, before its eventual decline. 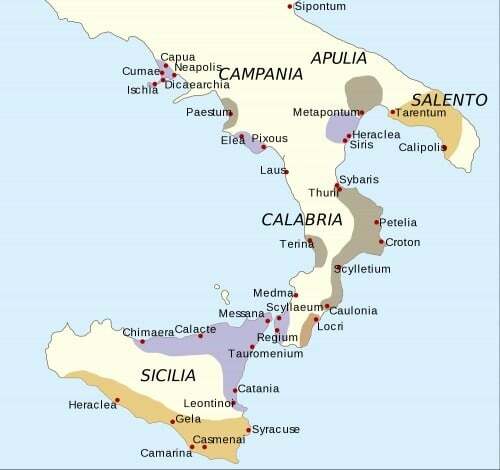 In fact, the Romans used to call the whole of Sicily and the foot of the boot of Italy – “Greater Greece”, since so many Greeks resided there for such a long time. Amazingly, pockets of Greek culture and language have remained in Sicily to this day. The tiny Girko community speak a form of Greek that is believed to derive from the colonies of Magna Graecia. At its peak in the 1st century, Rome’s population is thought to have been approximately 1.5 million, but by the time Rome fell in 476 A.D, that figure had fallen to a mere 17,000. Today, about 99% of the ancient Roman population was lost, meaning virtually no Roman today could claim to directly descend from the city’s ancient population. Perhaps one of the best-known facts about Italy is that , founded in 1088 has been in continuous operation ever since, making it the oldest university in the world. Of the top 10 oldest universities in the world, 4 of them are based in Italy (the others being University of Padua, Naples and Siena); more than any other countries in the ranking. Just about any nation on earth has its own love affair with football (except perhaps the US and Canada), but such is the fanaticism of Italian football fans that people have taken to calling them “Tifosi”, which literally translates to “carriers of Typhus”. Thus, their love for the sport is quite literally like a disease. Romans are said to adore their feline friends so much that they are considered “a bio-cultural heritage”. Anyone convicted of killing a cat – owned or a stray – could face a €10,000 fine and up to 3 years in prison. It is estimated that Rome alone is home to around 300,000 cats – the only residents who are permitted to explore the ruins whenever they like. Incidentally, in 2011 an Italian cat inherited over €10 million after its 94-year old owner passed away, making it the third richest animal in the world (the fact there are richer animals is incredible). The owner Maria Assunta left her “entire estate” to the cat under the care of a trusted nurse (you may not be surprised that Italian laws does not allow animals to inherit directly). If one thing’s for sure, Italian car thieves must be few in number seeing as the local police waiting in the wings behind the wheels of one of the fastest cars in the world. Then again there are, apparently, just several Lamborghini Huracán police vehicles in use in Italy. But still, where else in the world!? And can you imagine the argument that goes on among Italian policemen and women when one turns up at the station? Always placing a loaf of bread face up, lest you affront Jesus Christ, who the “bread of life” of course symbolises for Christians (of which there are very many in Italy). If you are single, don’t let a broom touch your feet when someone is cleaning the floor. As the saying goes, you want to be swept off your feet and get married. If the broom touches your feet, apparently it won’t happen. You will receive good fortune if you hear a cat sneeze. There are more amazing examples of strange Italian superstitions that you will probably never have heard of. If you’re lucky enough to have ever eaten in an Italian family home, you’ll be well aware of how generous Italian people are to guests, particularly when it comes to food. But what you might not have known is that, collectively, they are a very charitable nation too. For instance, it is estimated that roughly €3,000 in change is daily tossed into Rome’s Trevi Fountain (over the shoulder so as to avoid getting bad luck). 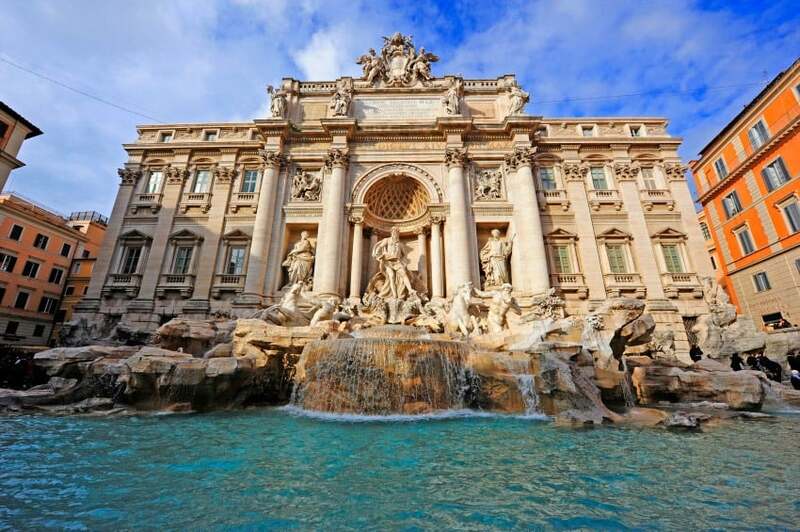 Legend says if you toss a coin in the fountain, you are destined to come back to Rome. Even though tourists have been joining in the cause, it was the Italians who have started it and all proceed goes towards local charities. 9. Men find it hard to fly the coop. 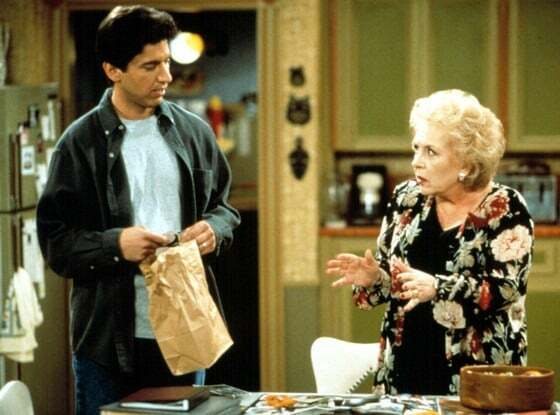 Wouldn’t we all if we had an Italian mother preparing our meals for us every day and night? There’s probably a bit more to it than exquisite home-cooking – perhaps the effect of the global recession, for instance – but more than half of Italy’s male population between the ages of 24 and 35 still live with their parents, according to a study carried out two years ago by Istat. The trend is believed to be causing many of these men to put off marriage and raising a family until they are much older. Even the Catholic church believes that “mammismo”, the classic attachment between Italian men and their mothers, is one of the biggest risks to marriage in the country today. There is a rather nasty blemish on Italy’s political history, in the form of one Benito Mussolini. But his tyrannous reign might well have been prevented if those responsible for choosing a new leader had just listened to Mussolini’s old school teacher. It is alleged that, at the age of 10, the notorious fascist dictator was expelled from a religious boarding school in Italy for stabbing another pupil in the hand with a pencil. There continued to be another stabbing incident in the following school and also admitted to knifing a girlfriend in the arm. With 61 million inhabitants, Italy is the fifth most populated country in Europe. However, the number of Italian descendants living abroad is far greater, after millions emigrated, mostly to The Americas, during the Italian diaspora period between in 1861 and the rise of fascism in the 1920s. Since then millions more have emigrated. To give you an idea, it is estimated up to 25 million Argentines and 31 million Brazilians have some degree of Italian descent – around 62.5% and 11% of the total populations respectively – while up to 17 million US citizens claim Italian ancestry. And that’s not even counting Italians who emigrated to Australia, Africa and elsewhere in Europe. 12. Italy is the only country with over 50 UNESCO World Heritage sites. Italy has 54 World Heritage Sites, 5 of which are joined with other countries. These include the Amalfi Coast, the Historic Centre of Florence and the Famous Lagoons in Venice. These include Albanian, Catalan, French, German, Greek, Slovene and Sardinian. A variety of other languages are recognised regionally , but not by the state, and many others that are spoken in very small communities are vulnerable or threatened by extinction. Who, in their right mind, doesn’t like pasta? It is unheard of in Italy. It therefore isn’t too surprising that the average Italian puts away 25kg of the stuff per year. To put that into perspective, that’s even heavier than your carry-on luggage for an economy airline flight, and let’s face it, we’re always a couple of kgs over. But pasta – and we’re talking fresh egg pasta here – is just so good. If you haven’d tried it yet, and we are sure that you would love, check out the popular recipe in our cooking holiday. Given that tomatoes were not introduced into Europe until the 16th century (thank the Americans), the flatbread pizza as we know it did not emerge as a genius piece of gastronomic innovation until a couple of hundred years later. In fact, if it weren’t for the poor, who couldn’t afford to top their bread with anything else, man would have been deprived of this classic dish for even longer. Until about 1830, pizzas were only sold by street vendors and special pizza bakeries. Then the first pizzeria opened up in Naples and the pizza quickly became a national favourite and for the rest of the world. Yes, it is true, believe it or not. 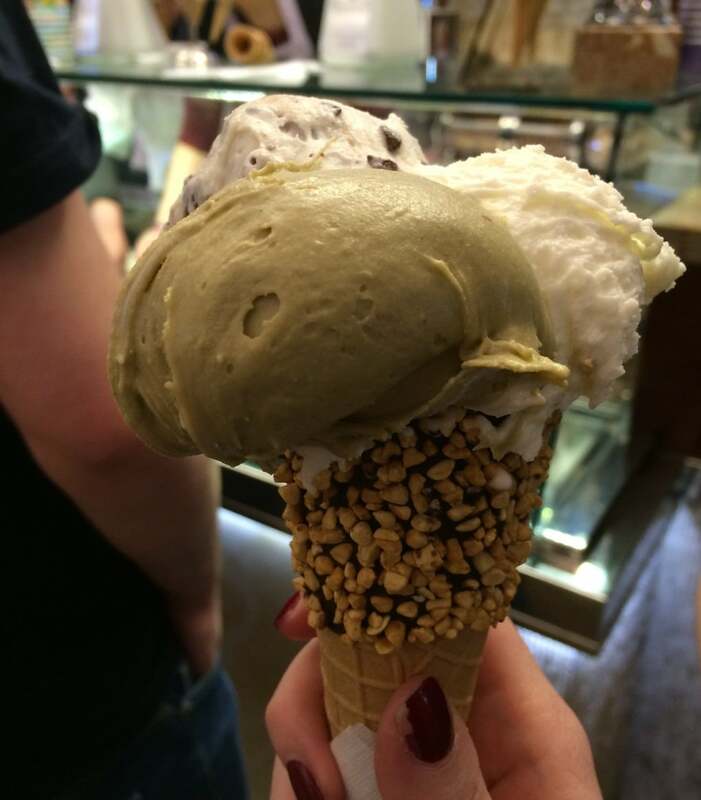 Gelato is healthier than the stuff we buy in bulk from the supermarket. Why? It is made daily with fresh, all-natural ingredients and contains 70% less fat (and consequently far fewer calories) than factory-made ice cream. There is also much less air in gelato, which makes the flavour more intense and, presumably, less wind is subsequently passed. Maybe that’s why Italians are so slim and nice…smelling. Interestingly, gelato is also the only Italian product wuhose market share of artisanal versus industrial is greater than 55%. Italy’s most famous dessert (at least abroad) – the delectable Tiramisú – was born in 1971 in La Beccherie Restaurant in the Venetian town of Treviso. It was proposed as a dessert which would stimulate customers due to its high energetic content (eggs and sugar) and the caffeine of the strong espresso coffee. Thus, the name ‘tiramisu’ – meaning “pick-me-up” in English – was coined. So now you understand why we are so obsessed about Italy? We only want you to feel the same way as we do. Flavours Holidays organise trips to Italy. Check out the availability of trips to Italy here.